This entry was posted on 18th January 2019 by admin. Outside is one of the UK’s best known independent outdoor retailers and our website is key to our continued success. We’re committed to offering the same high quality service to our online customers that they receive in our Hathersage store; through detailed, accurate product information, product reviews and above all, faultless customer service. We are looking for an outstanding customer services admin to help provide it. 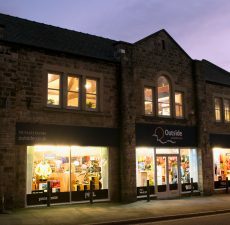 Working in Hathersage as part of Outside’s small Web Team, you’ll be responsible for the smooth running of our mailing service. This entails processing and packing website orders efficiently, as well as dealing with returns and enquiries promptly and professionally. We are looking for someone who can maintain our exceptional reputation for efficient customer service and be a friendly, well-informed and articulate first contact for email, telephone and instant messaging enquiries. The right candidate must be able to demonstrate a great customer service track record. Ideally this will be online, and if you have experience with Magento CMS we definitely want to talk to you! Good written communication skills are also important, however, it’s far more important that making a customer’s day will make your day, too, as we can train you up on our systems. You will need to liaise daily with Outside shop staff, head office staff and our suppliers, be proficient with the usual Microsoft Office apps and we’ll need you to assist with keeping our website shiny and new from time to time. We are keen to hear from outdoor enthusiasts and if you have some experience in the outdoor industry, so much the better! If this sounds like you, and you like the idea of working in the beautiful Hope Valley, next door to some of the best climbing in the Peak, with a bunch of like-minded individuals, then please get in touch, to apply or with any questions you may have. Please send CVs and a covering letter/email by Monday, 28th January 2019 telling us why you think you’d be great at this job to carrie.tomlinson@outside.co.uk.